Joseph Remoortere started out as a cereal farmer, arriving from Belgium in the late 1960s. He started to diversify into wine in 1990, taking over the management of the vineyards of neighbouring Château de Maupas at the same time. 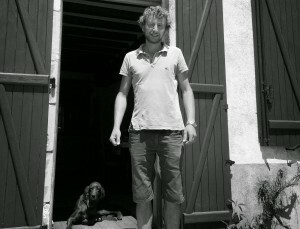 Now retired, he has passed the reigns onto his son, Antoine, who studied oenology at the local lycée in Cosne-sur-Loire. Although they still farm 50 hectares or cereals, there are now a total of 11 hectares of vines, split equally between Remoortere’s own label and that of the château. The Château de Maupas itself is a minor tourist attraction in the Berry, open for visits during the afternoons in summer. Its absentee owner is a young Marquis who resides in Paris with his wife and family. The Sauvignon Blanc comes from 15 year old vines planted on silt-based soils, located close to the wood that surrounds the château. Tank fermented, it is bottled early to retail the varietal purity of the fruit. Also raised in stainless steel, the Pinot Noir comes from vines of the same age. It is bottled unfiltered and has a lovely, pure varietal expression.